Posted January 11, 2010 in Big Barda, Darkseid, Rusty Shackles. Full-on Big Barda bad girl art courtesy of Rusty Shackles. Posted September 25, 2009 in Rusty Shackles, The Hulk, The Thing. 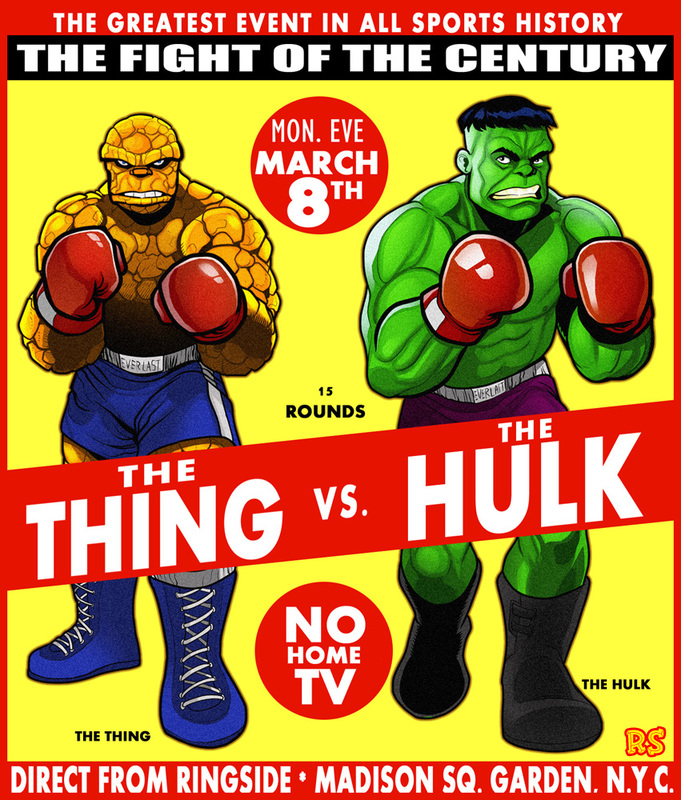 The Thing and The Hulk in a head to head bout courtesy of Rusty Shackles. Rusty is currently working on The Hard Ones, a new title coming soon from Action Age Comics. He also the regular artist for War Rocket Ajax‘s weekly podcast. 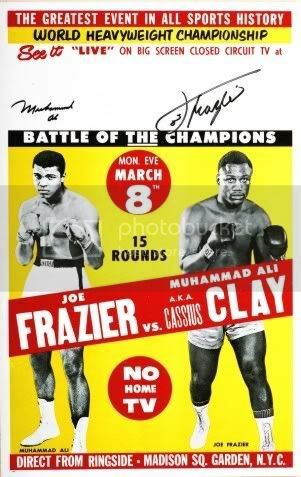 Rusty is a bit of a boxing fan and drew inspiration for this piece from an original Ali-Frazer poster which can be found here. For more of Rusty’s work be sure to visit his blog here.